God was willing to depend on a woman, as all humans must do, to be nurtured unto life and nourished unto health. I am grateful to Mary, my older sister, whose example reminds me that maternal love is very precious. God, thank You for the privilege of being a woman. As you consider this stained glass window of Mother Mary and Jesus–its images, but also its colors and shapes, what prayers are emerging in your heart, mind, body, and imagination? Pray them now. Mary offering her breast to Jesus. One of three nursing images of Mary and Jesus found at Chartres. 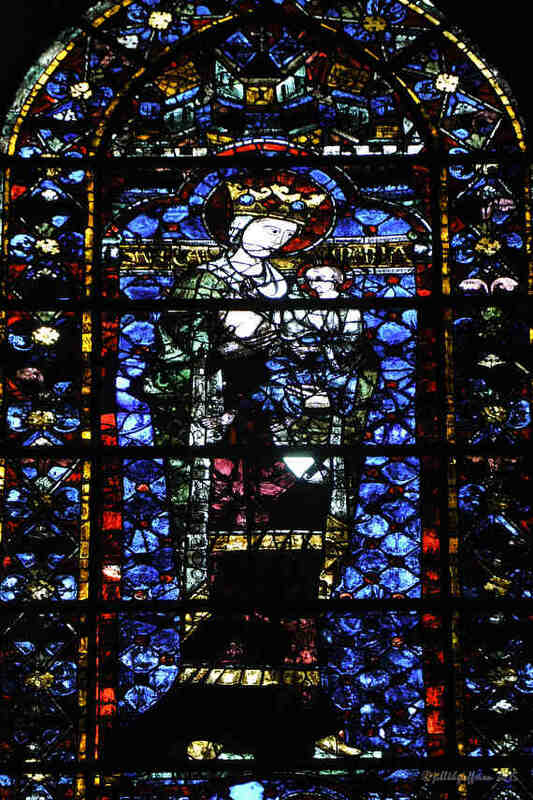 While this was not a common medieval theme, according to La Veille Chronique, a hymn to Mary that referenced her nursing was sung at the cathedral: “O glorious woman, elevated to the top of the stars, the one who created you in anticipation, you breastfeed from the holy breast.” This thirteenth century (1205-1215) image is above the labyrinth on the south side in the third bay from the west. 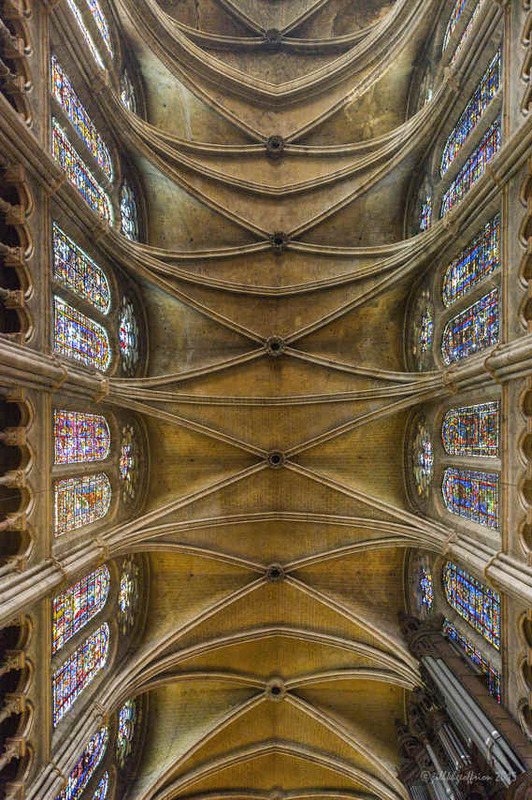 In the photo below it is the sixth (counting the half window) window from the organ on the right hand side.